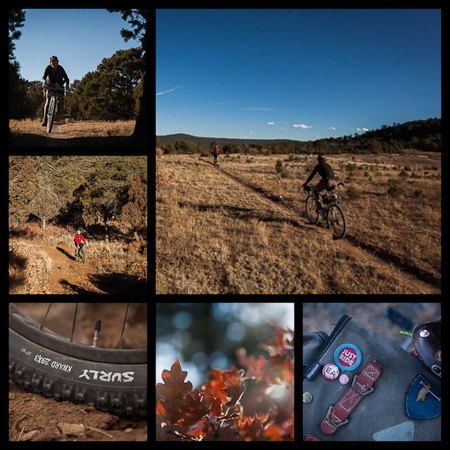 The allure of New Mexico, abounding in high plateaux and open space. Swathes of National Forest, BLM land and Indian reservations tempt in every direction. We begin our overnight foray on a challenging and slab-laced trail, climbing ever up towards Otero Canyon. 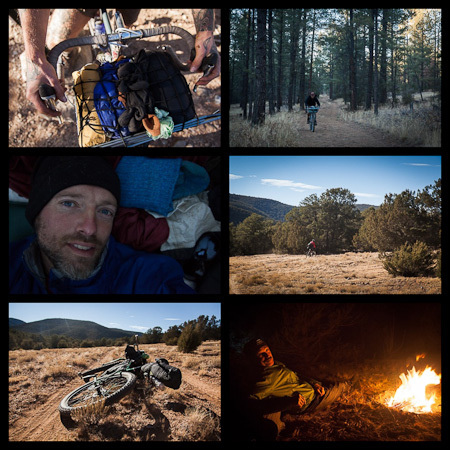 Then we emerge onto Forest Service Road 106 – the Manzanita Mountains to ourselves, basking in late afternoon sun, and the knowledge that a night under the stars lies ahead. Jeremy turns the hear on in the morning. Drops bars and a basket or 3in fat tyres? Just ride. Then eat, then sleep. 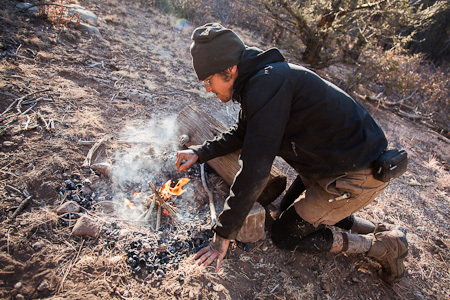 A happy camper and storytelling round the fire. 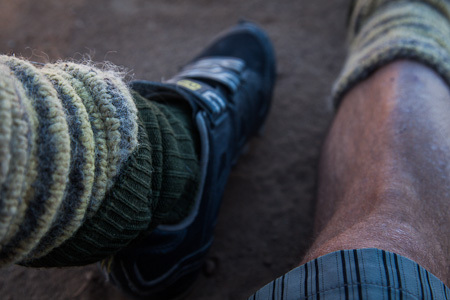 Wooly leg warmers, thick socks and shorts. My favourite winter combo. Simple ingredients: a Hunqapillar sighting, the odd push, dappled light, and endless miles of open road. Picture layout comes courtesy of PicFrame, a nifty iPhone $1 app that offers quick ‘n easy creative control. 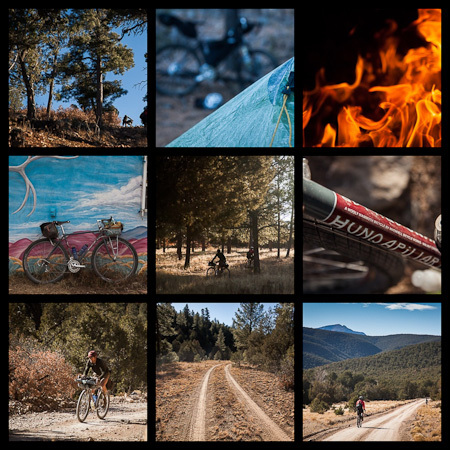 This entry was posted in New Mexico and tagged Cibola National Forest, PicFrame, Rivendell Hunqapillar, Surly Krampus on December 14, 2012 by Cass Gilbert. I like the photo layout format, its looks great, just a pity each one is so tiny…. Thanks Phil. It would be cool if you could click on each individual image, and it would open up big. Thanks for the advice Alex. I’m not exactly sure what the plans are, as I’m not too familiar with this kind of stuff. The site has been redesigned, and is being built at the moment… I’ll pass on info on!